How do I activate or register Disk Tools? 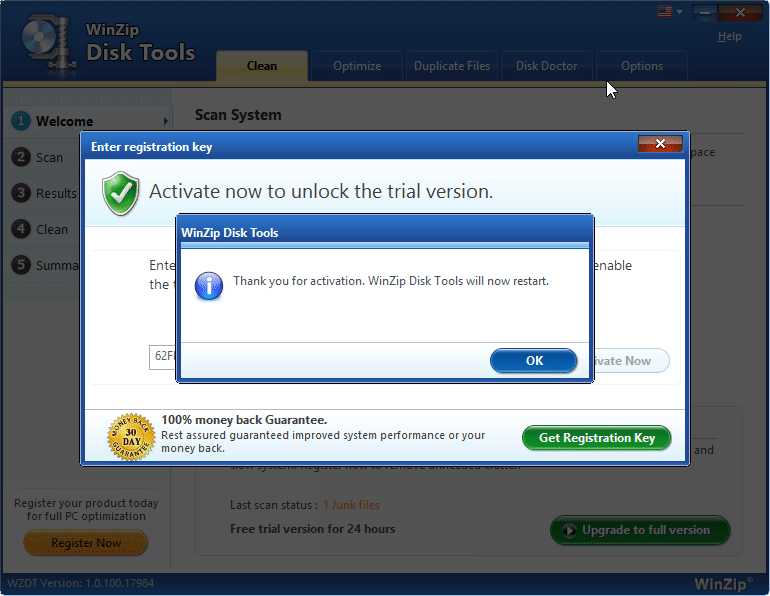 Activating or registering your copy of Disk Tools is easy! Launch Disk Tools on your PC. Click on the Register Now button at the bottom left corner of the program screen. In the new window that opens, copy and paste your license key (we recommend copying and pasting your key to avoid typing errors) into the text field. Click on the Activate Now button to complete the registration.Once registered, you will be able to successfully fix any errors found on your PC. How often should I use Disk Tools on my computer? How do I uninstall or remove Disk Tools? How do I reinstall Disk Tools on my computer?